Ensuring that your company is in compliance with changing legislation and the Health Care Reform law has never been so important. We know that staying abreast of these changes can be a daunting task. Roller Consulting has the expertise and tools to help your company navigate the legal obligations of your benefits program so you can focus your energy on critical business functions. Roller Consulting has created a Health Care Reform Center. The center enables us to continuously update our clients about the Patient Protection and Affordable Care Act (PPACA). 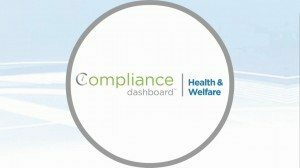 We offer clients the Compliance Dashboard, a web-based tool that helps employers understand their compliance obligations by breaking down these responsibilities into clear and understandable topics, which are summarized on a compliance calendar. In short, it gives employers the compliance information they need, when they need it. Whether you have five employees or 10,000 plus, the tool will ensure your benefit plan is in compliance with the laws. With access to an online compliance information website, we can assist HR managers in finding solutions for federal and state compliance issues. The Compliance Library portion of the portal features explanations on how each state differs on laws relating to COBRA, HIPPA, FMLA, and more. In addition to compliance information, the portal offers guidance on a wide range of HR-related concerns such as compensation, recruitment and retention, and employee development. Roller Consulting Company partnered with Insurance Brokerage Exchange (IBX), to offer large companies a first-in class Group Life and Disability Insurance procurement process.